Following the lack of snow in the Alps, the last week has seen its fair share of rain, but as dreary as that is to look at out of your window, rain in the valley means snow in the mountains (yippee!) 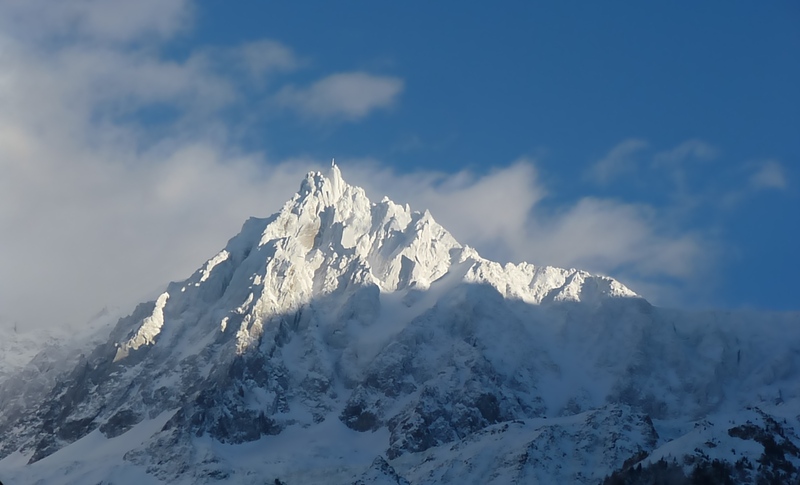 Earlier this week saw a few days of miserable, grey rain, but when the clouds finally lifted they revealed the majestic Aiguille de Midi as it is very rarely seen; the towering sides too sheer to hold snow except in the event of a heavy snowfall combined with very strong winds. I am truly pleased to have captured it in its brief moment of pure white, a very special view, and out of my living room window too!